The beautiful seaside town of Eastbourne will once again welcome athletes to the Eastbourne Triathlon on the 15th June 2019. With a new organising team for 2019, the event will feature new and improved swim and run routes, as well as the addition of the longer Olympic Distance race alongside the existing Sprint Distance event. Athletes of all abilities and experience, from novice to elite, are expected to take on what is widely considered to be one of the most scenic triathlons in the country. Starting from Eastbourne’s famous beach, triathletes will take on an iconic route, swimming against the backdrop of the historic pier, cycling on scenic roads through the South Downs National Park via Beachy Head and running on the promenade to Holywell, before finishing on Eastbourne’s Western Lawns. The Sprint Distance event is an ideal choice for novice triathletes, consisting of a 750m swim, 18.3km cycle and a 5km run. The Olympic Distance race consists of a 1,500m swim, followed by a challenging 41.5km cycle and a 10km run. There will also be relay and aquathon (swim/run) options for both distances. Eastbourne has a strong affinity with the sport of triathlon and is home to several elite athletes, including Commonwealth Paratriathlon Gold Medalist Joe Townsend, who is once again expected to take part in the “Legends” Paratriathlon event at the Eastbourne Triathlon. 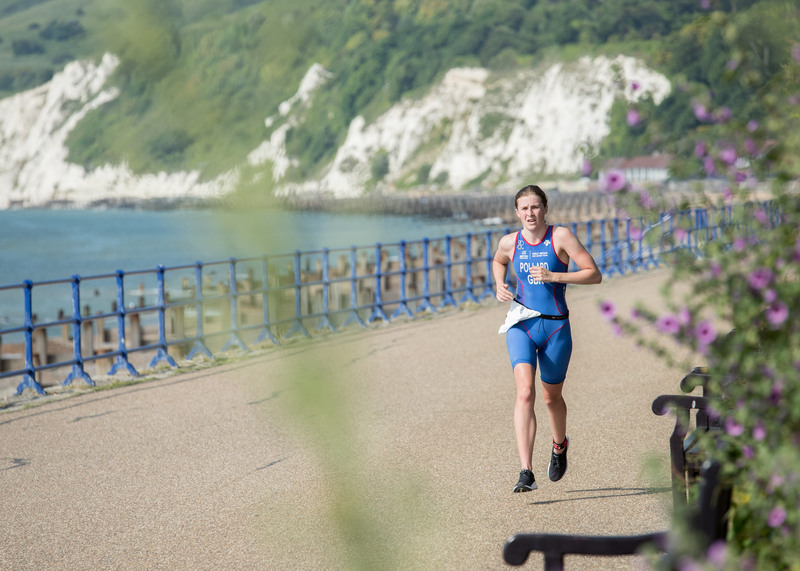 Ideal sea conditions, beautiful surroundings and a spectator-friendly seafront venue, along with numerous hotels and easy transport access, make Eastbourne the ideal location for hosting a triathlon.